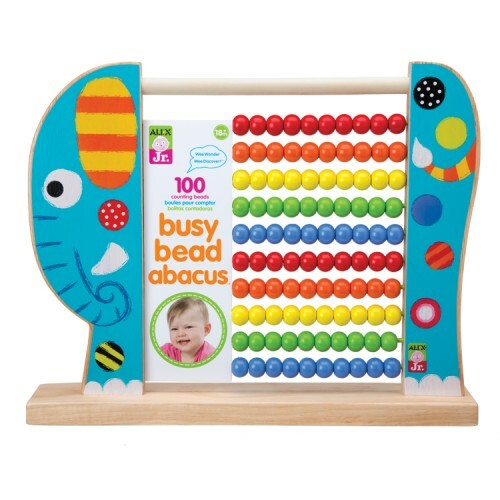 Help smiling wooden elephant count the colorful 100 beads on this Alex Toys' Busy Bead Abacus! 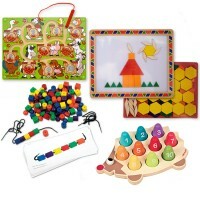 Toddlers will enjoy learning while playing with this colorful counting toy at home or in your classroom. Elephant Busy Bead Wooden Abacus by Alex Toys is a classic learning toy with adorable design. 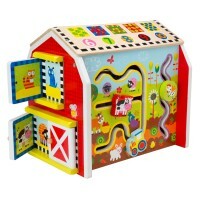 Shaped as a friendly elephant, this bright color abacus is made specially for the little hands. 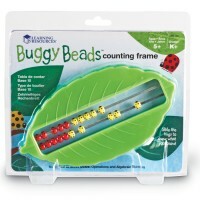 Identify colors, count the beads, add, subtract, and play imaginative games - developmental fun is guaranteed! 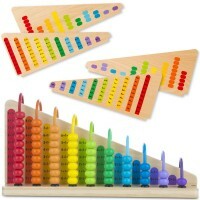 The youngest children will learn counting, colors, and basic math operations playing with this wooden abacus. 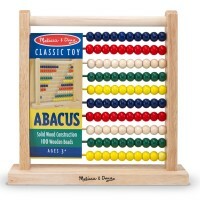 This first abacus toy comes with 100 counting beads on 10 sturdy rows of wire. 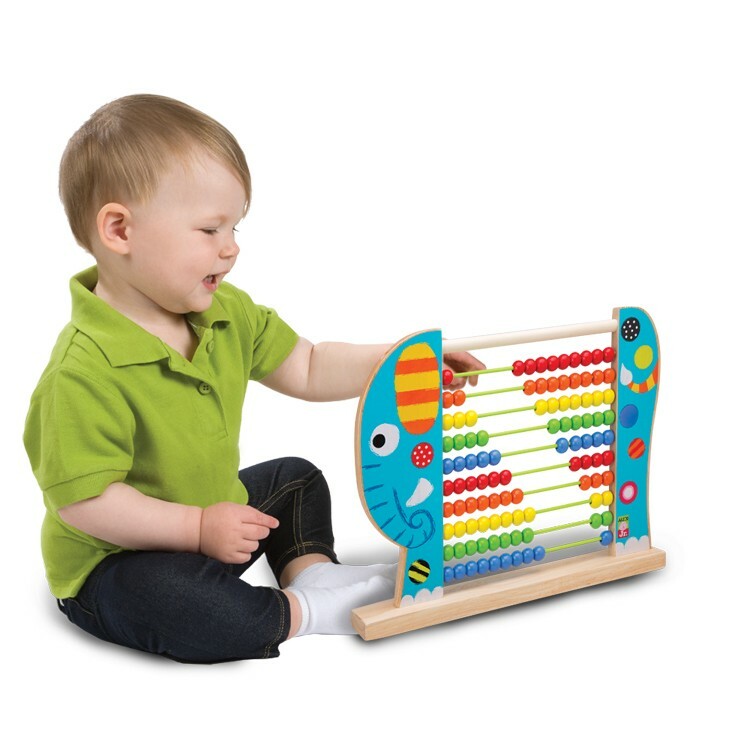 Educational Toys Planet would not promise high school math success with this toddler abacus, but we are sure this counting toy will bring hours of learning fun for your kids. 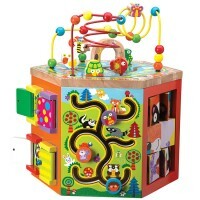 This kids abacus is a true bestseller for its durability, price and educational value. The Elephant Busy Bead Wooden Abacus from Educational Toys Planet is painted with nontoxic paint and meets all US toy testing standards. 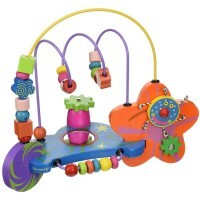 Dimensions of package 2.76" x 14.65" x 11.81"
Write your own review of Elephant Busy Bead Wooden Abacus. Rating: 5 by Darrell, TX Daughter, 1st grader, just can NOT comprehend math. 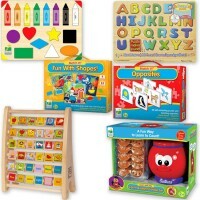 This is the best tool I have found that allows a visual concept to help her young mind gain understanding in learning. Thankyou for your extremely reasonable price for such a great tool. Thank You!! Rating: 4 by Efstratios, ON Good sturdy design. Rating: 5 by Seth, PA I used to have almost the same toy abacus when I was a kid. Great that these toys are still around! Rating: 5 by Natalie, OR I really think that children toys should be educational, multifunctional and simple. This abacus is just ideal. We play pretend games with my son, making its pieces different animals or cars. He is learning how to count, simple math, and how to use his imagination. Rating: 5 by Jenny, IL Good classic abacus. Rating: 3 by Trina, MI Would have been nice to see an educational insert on how the abacus works. This is really a novelty frame with sliding beads.